HALLOWEEN - What does the Bible teach? HALLOWEEN – What does the Bible teach? Lately, Halloween is becoming increasingly popular in Romania, that hasn’t previously known and celebrated this holiday. What is the origin and meaning of this holiday? How should we, as Christians, relate to it? Halloween, a contraction of All-Hallows-Eve (“evening”), is an annual holiday observed on October 31, and common activities include guising/trick-or-treating, attending costume parties, carving jack-o’-lanterns, lighting bonfires, apple bobbing, visiting haunted attractions, playing pranks, telling scary stories, and watching horror films.The word Halloween is first attested in the 16th century and represents a Scottish variant of the fuller All-Hallows-Even (“evening”), that is, the night before All Hallows Day. Children go in costume from house to house, asking for treats such as candy or sometimes money, with the question, “Trick or treat?” The word “trick” refers to a (mostly idle) “threat” to perform mischief on the homeowners or their property if no treat is given. Historian Nicholas Rogers, exploring the origins of Halloween, notes that while “some folklorists have detected its origins in the Roman feast of Pomona, the goddess of fruits and seeds, or in the festival of the dead called Parentalia, it is more typically linked to the Celtic festival of Samhain (pronounced sow-an or sow-in)”, derived from the Old Irish Samuin meaning “summer’s end”.Samhain was the first and by far the most important of the four quarter days in the medieval Irish and Scottish calendar and, falling on the last day of Autumn, it was a time for stock-taking and preparation for the cold winter months ahead.There was also a sense that this was the time of year when the physical and supernatural worlds were closest and magical things could happen. To ward off these spirits, the Gaels built huge, symbolically regenerative bonfires and invoked the help of the gods through animal and perhaps even human sacrifice. What is the origin of the name “Halloween”? In 835 Pope Gregory IV changed the day of celebration of all the martyrs from May 13 to November 1. Later, the celebration was called “All Saints Day”. 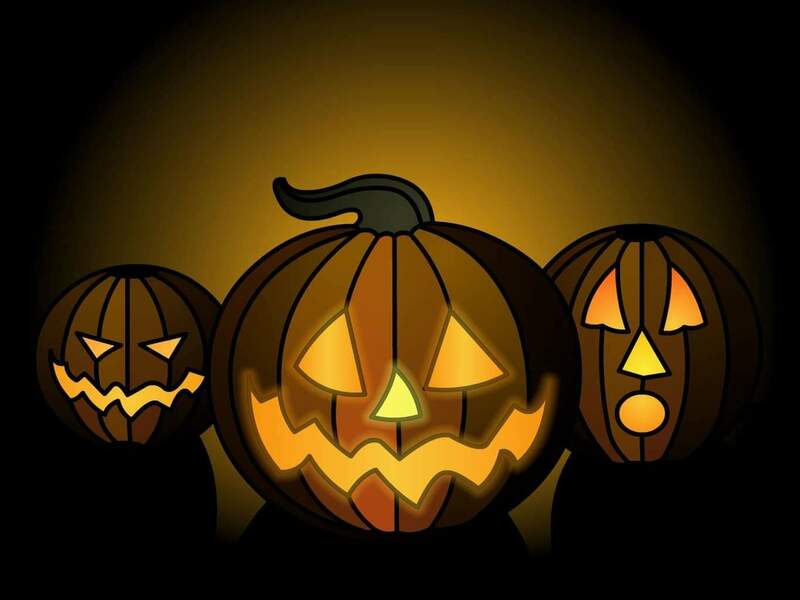 The night before this holiday, that is the evening of October 31 was named the All-Hallow’s Even or “Holly Evening” which in translation means the evening or night of All Saints. Then, the name was shortened to what we know today – Halloween. What do people celebrate at Halloween? It is obvious that in today world no one remembers the saints and this evening was transformed into one when people imitate evil spirits, skeletons, black cats, all sorts of horrors and it is if they imitate evil spirits through all their actions. History shows that the Catholic Church through Pope Gregory IV tried to replace a pagan holiday with a Christian one, but as a result, the pagan and devilish holiday has absorbed completely every Christian aspect of this holiday. What does God say about Halloween’s practices? It is absolutely clear that all these practices celebrated at Halloween, even if they are performed as a joke, are an abomination before God and they defile the people. We, Christians, must keep ourselves away from them. Halloween is a direct confrontation between the forces of darkness and the children of God. Therefore, let us take up the full armor of God and tell people the truth of the Word of God, so that they may be saved.